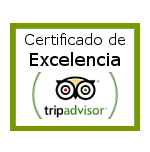 Urdaibai Bird Center has a strong vocation for training and education. As this center conducts many studies in the field of bird research and dissemination, there will be a number of parallel activities organised to train people on different subjects and levels. These courses will be taught not only by staff of the Bird Center but also by experts in certain fields who will be invited to share their knowledge. Training sessions will be announced throughout the year for inviting those people who would like to participate. • Courses on Scientific Ringing. The Ringing Station of Urdaibai Bird Center has been offering ringing courses for some years, addressed to those people that are interested in this discipline and would like to become Expert Ringers in the future. The Center will continue organising general courses on identifying, ageing and sexing passerine birds, as well as more specific ones such as those on waders. Experts in certain faunal groups will be invited to come and share their knowledge at Urdaibai.